Well this week is crazy. I'm not only doing my job at work but also doing the job of the receptionist. I have a new respect for the receptionist. I have been fighting with the computers, calling parents and organising lessons and I haven't done half of what she does! I'm glad I usually only have to teach. I spent a couple of hours shopping for yarns on Saturday to try and find just the right colour for the skin. Do you know how hard it is to find a skin coloured yarn? Apparently noone wants to stock quite so light a pink! I finally found an apricotish colour. Hopefully it will work otherwise it's back to the drawing board. I'm now reading one of Nora Roberts trilogies. The first book is called Jewels of the Sun and the name of the trilogy itself escapes me. More updates later as I get the parts done. 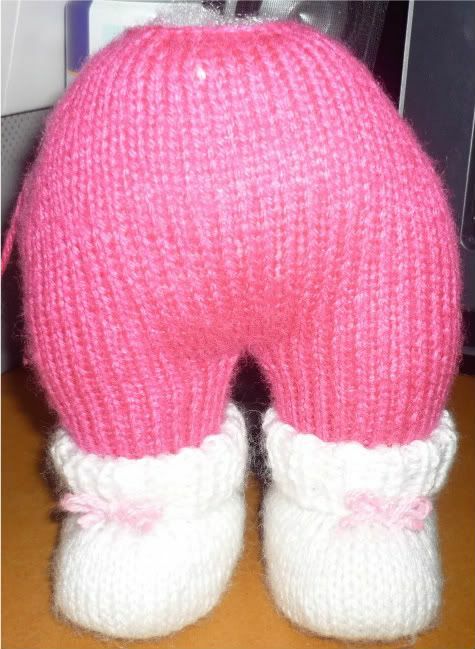 Love your knitting, I haven't knitted for ages! and why is craft time so hard to come by? 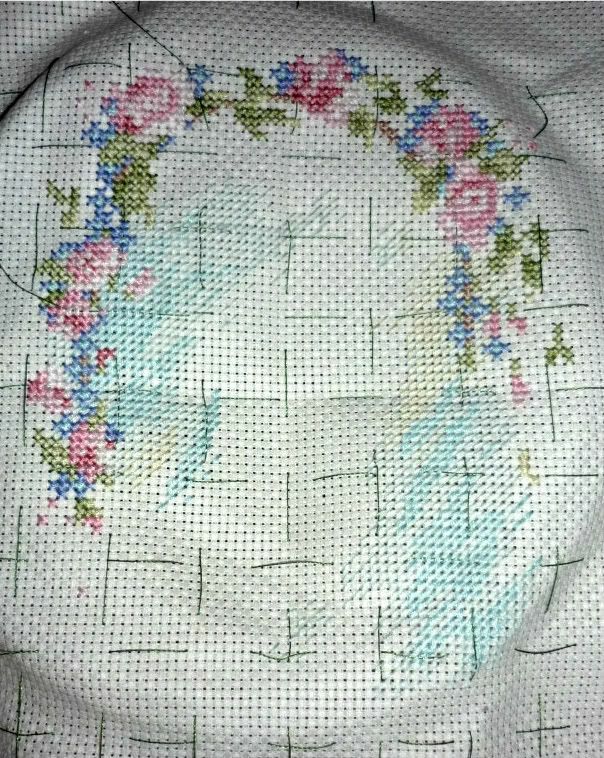 Craft time is so hard to come by because by the time I get home I am so tired that getting my eyes to focus on the threads to stitch is really hard. Knitting is easier to do when I'm tired, because I don't have to watch it quite the same. It should be easier next week. I hope!